The days of the typical bathroom are over. Today, the focus is creating a haven of serenity and seclusion that reveals elegance. Establish your own private retreat with design choices which reflect your personality and style. Transform your bathroom into a source of water wellness with a Hansgrohe Raindance Connect. The Raindance Connect unites maximum performance and design with distinctive showering modes. 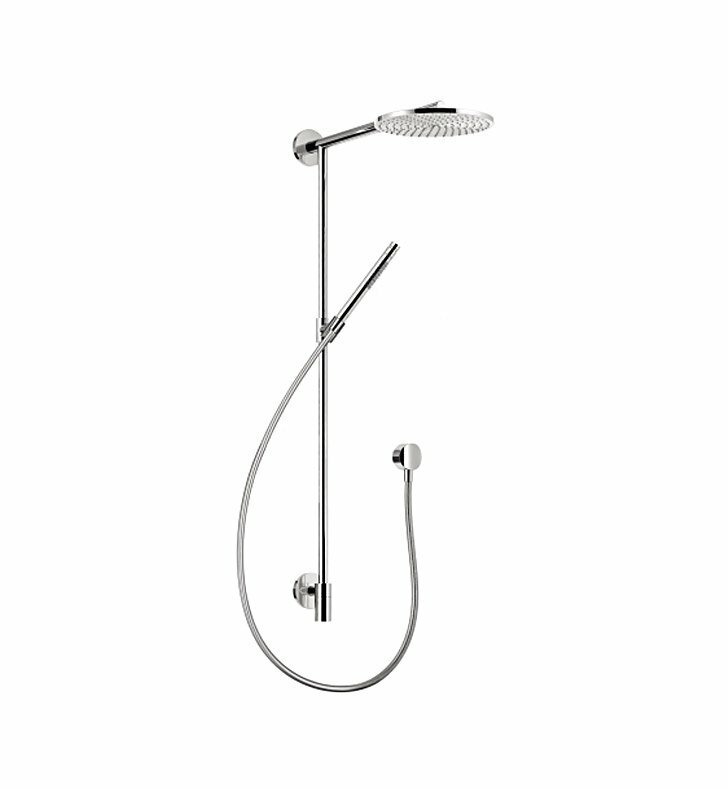 The Raindance Connect features a Raindance 240 AIR showerhead, full spray handshower, and integrated wall bar for hands-free use. Calcareous water, dirt, cleaning agents: faucets and showers need to withstand a lot. With QuickClean technology, residues disappear in an instant. AirPower – more fun from less waterThe principle is simple: an ample supply of air is sucked in via the spray disc of your AirPower shower. The incoming water is infused with this air. Around three liters of air are transferred to one liter of water. Valuable water is thus used efficiently. H 44 1/4" x L 23"